2016 Volunteer Training Calendar for the Chattahoochee-Oconee National Forest. Also a reminder the Co Trails Award/Kick Off Meeting is February 6th, 2016 @10:00 AM @ the Supervisor’s Office 1755 Cleveland Hwy Gainesville, GA. Complete the registration form and submit to the district(s) contact. You will receive a receipt of registration. Please see the new guidelines below the registration form. Which trainings do you need for 2016? What trails do you maintain? How many hours do you report a year? How many of those hours do you report maintaining trails with chainsaw and crosscut? Registration will close TWO WEEKS before the class date and a volunteer must give a TWO-WEEK notification if cancelation occurs. If you do not notify the district of your cancelation then you MAY be charged the cost of the class. If you continue to be a NO SHOW then you may not be priority for future training/certifications. You will receive a TWO WEEK notification if the district cancels a class due to participant level. It's your RESPONSIBILITY to know your expiration dates. Trainings are split into quarters: Oct-Dec1st Quarter, Jan-March 2nd Quarter, April-June 3rd Quarter, and July-Sept 4th Quarter. 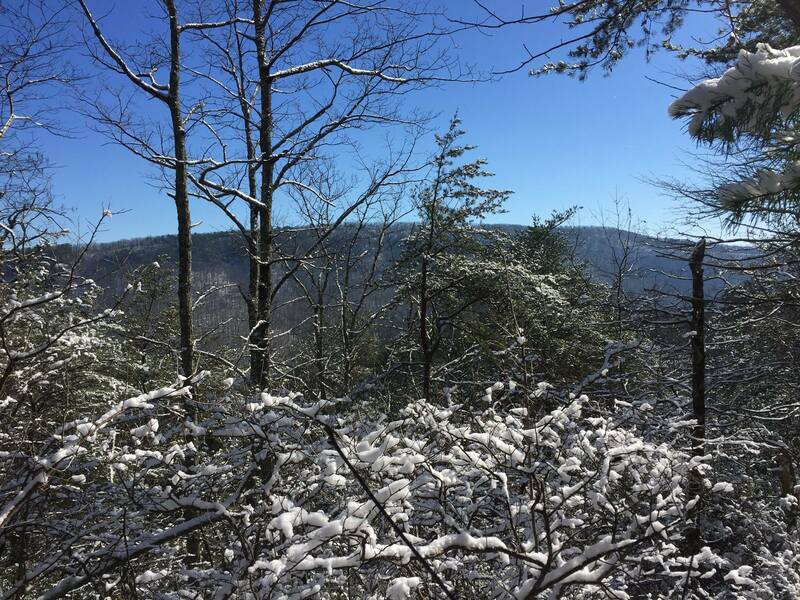 By submitting this registration form I hereby understand and acknowledge my responsibility as a Volunteer for the Chattahoochee-Oconee National Forest and will uphold to my commitment. Fly Tying class at the Nacoochee UMC EAGLE program. Sponsored by Unicoi Outfitters with Ron Thomas as the facilitator. RABUN RENDEZVOUS RESCHEDULED!! 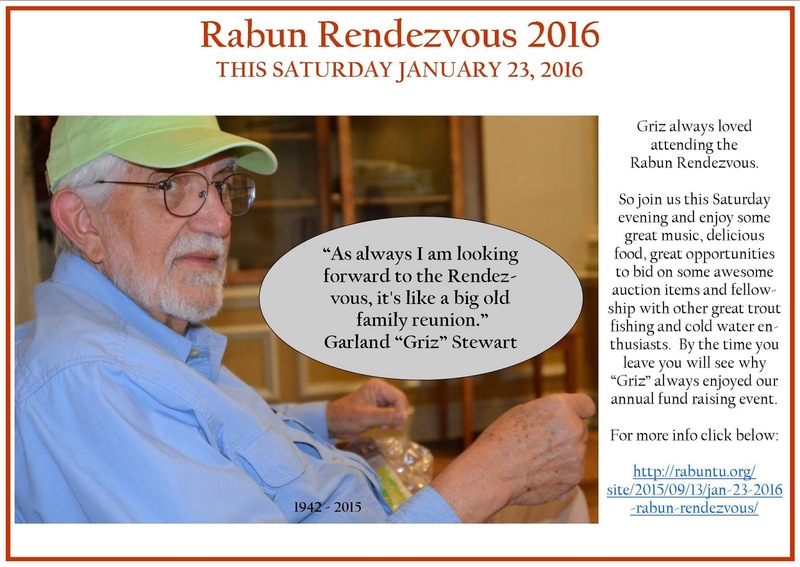 DUE TO THE WINTER WEATHER THIS WEEKEND THE RENDEZVOUS HAS BEEN RESCHEDULED FOR NEXT SATURDAY, JANUARY 30, 2016. SAME TIME, SAME PLACE, WITH THE SAME GREAT FOOD, MUSIC, PIG PICKIN', SPEAKERS AND AUCTION ITEMS. SO SAVE THE DATE FOR NEXT SATURDAY JANUARY 30TH. PLEASE SHARE AND SPREAD THE WORD. BE WARM AND SAFE!! We are looking for volunteers to assist us with classes at our annual Wilderness Challenge Camp for middle school youth at Camp Washega. Would any of you be willing to volunteer to help teach a short class on fly fishing, fly casting and cold water stream conservation? The classes are typically two hours long. There is a small stream on center that we typically have DNR-WRD stock a few days prior. The classes can be sized to meet your needs for instruction. Any assistance is greatly appreciated! The camp is located just above Dahlonega GA. The camp will be hosted June 6-10, 2016. Foothills monthly meeting Thursday, Jan 14th.